The second antique piece, no. 4111, is a thin flat equation-of-time and repeater watch, built on the chronometer principle. It repeats hours, half-hours, quarter-hours, and half-quarters. 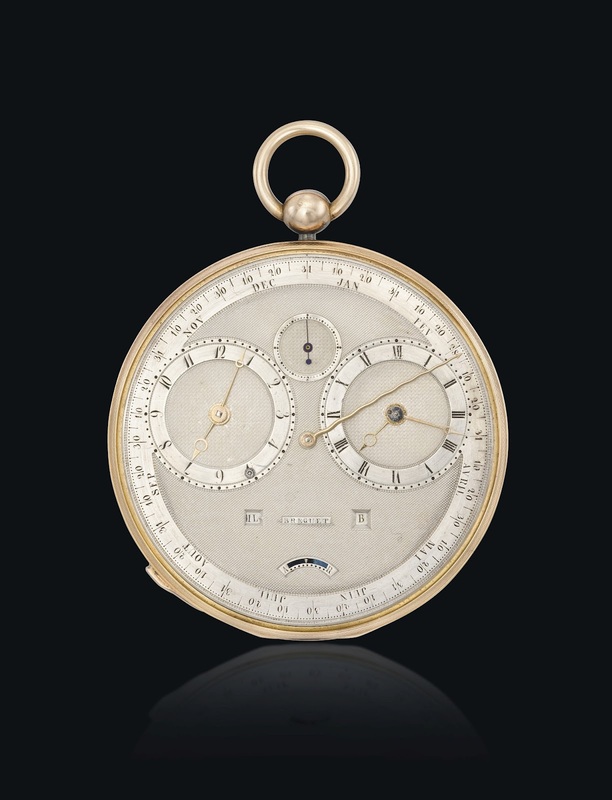 This "Grande Complication" watch dates from 1827 and was purchased for more than 2.5 million Swiss francs. 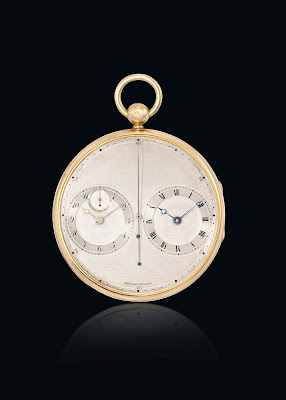 It has an annual calendar as well as a manual perpetual calendar, and also displays mean and apparent solar time. In pursuit of aesthetic and functional perfection, the balance wheel was especially worked so that the watch would be extremely thin, fascinating technical feats in a "Grande Complication" watch. 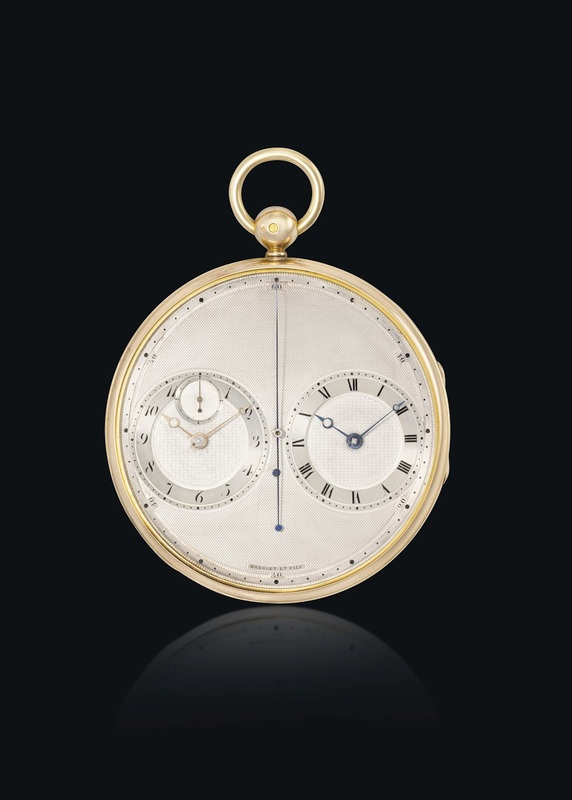 Montres Breguet is proud to announce the arrival of these treasures for its museums. This unique event confirms Breguet President and CEO Marc A. Hayek's commitment to preserving the Manufacture's historic and cultural legacy.